With less than 40 days to the start of the 11th edition of the Route du Rhum-Destination Guadeloupe solo transatlantic race, sailors, partners, organisers and journalists gathered at the Maison de la Radio in Paris today for the official presentation of the race. For this 40th anniversary staging of the race, a record number of single-handed sailors will take part with 124 boats in six classes expected on the startline in the Bay of St Malo on November 4 for the 3,542-nautical mile voyage to Point-a-Pitre in Guadeloupe. The fleet will be made up of both professional and amateur sailors all looking for victory in the “queen of transatlantic solo races”, which is both a technological and sporting challenge, and for some an extraordinary experience or fulfillment of the dream of a lifetime. This time the fleet is more varied than usual and the 11th edition gives pride of place to a large representation of amateurs. For the first time in the history of the race the amateur “Rhum” class is divided into two with a monohull division and a multihull division. With 53 boats registered, the Class40 fleet also adds its share of amateurs setting out on an extraordinary adventure. Together they make up one third of the total field, and these architects, business leaders, physiotherapists, tobacco experts or firefighters will write a new page of Rhum history as they make their way westwards across the Atlantic. There is a large contingent of French Breton sailors (47%), but 20% of the fleet is from outside France with British entrants the most numerous with six sailors including two women. There are also sailors from Japan and Finland; there are two from Switzerland, three Germans, three Americans, three Belgians and one from Sweden. It’s a cosmopolitan fleet that underlines that the magic of the Route du Rhum-Destination Guadeloupe extends well beyond the borders of France. Getting 124 boats safely away from the same startline on November 4 is not going to be easy, so the race organisers have devised a line that will stretch for two-and-a-half miles and will be divided into four parts. The Ultimes – the biggest and fastest boats - will have one section to themselves, then it will be the sector for Multi50s and Rhum Multis, then a section for IMOCAs and finally a segment for Class40s and Rhum Monohulls. With 50,000m2 dedicated to the event at the race village at the foot of the walls of the “Corsair city”, St Malo is ready to celebrate this anniversary edition of the race first staged in 1978. 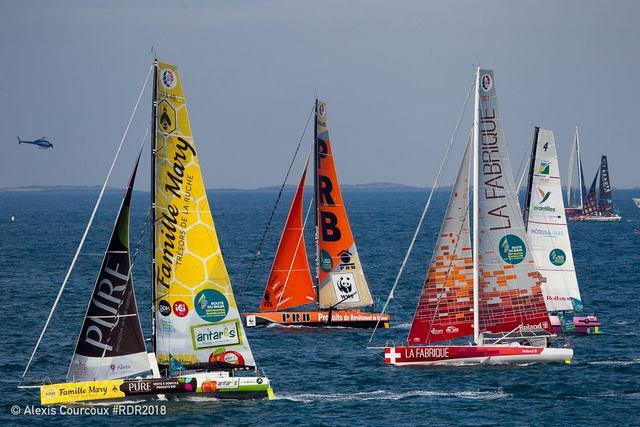 The Duguay-Trouin (IMOCA) and Vauban (Class40, Multi 50, Multi Rhum, Mono Rhum, Ultime Use it Again) harbours will welcome this extraordinary fleet, while the large trimarans in the Ultime category will gather at the Maritime Station. 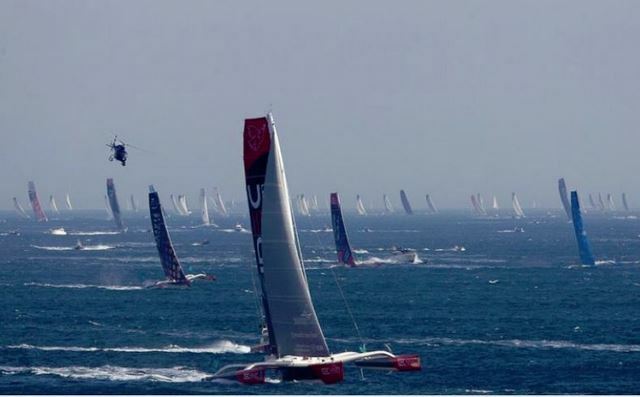 From October 24 to November 4, the public is expected in large numbers – there were 2.2 million visitors in 2014 – ready to enjoy this great festival of offshore racing. View the full St Malo schedule here. "After months of preparation by organisers and partners, here we are! From St Malo, more than 120 solo sailors are preparing to challenge the Atlantic and put their tenacity and competitive spirit to the test to reach Pointe-à-Pitre. And in Guadeloupe, it is the whole archipelago that is preparing to welcome the sailors, their teams, organisers and visitors, for the 11th time in 40 years. Because between St Malo and Pointe-à-Pitre, between Brittany and Guadeloupe, this is a true love story that has been built and strengthened over the years, and has been going on for 40 years. It’s time to celebrate four decades of adventure and intense emotions. 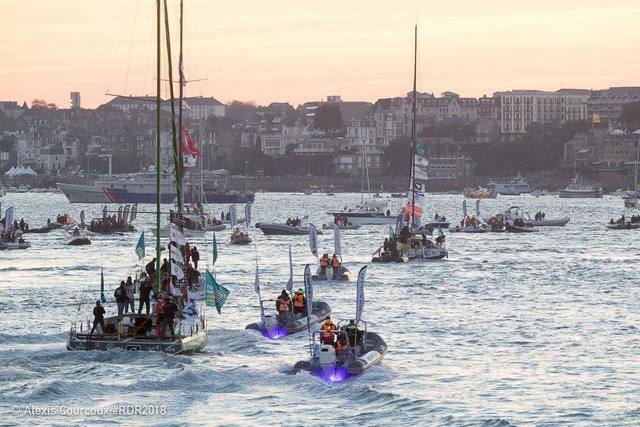 And we will be at the build-up to race start in St Malo where Guadeloupe will bring the flavors of victory to sailors and visitors through the presence of our companies and cultural events. From 9 November, the finish of the race will be celebrated for the first time on the magnificent esplanade at the ACTe Memorial in Pointe-à-Pitre. With its long seafront, the public will delight in the arrival of the giants of the seas. In all, three villages will celebrate the finish until November 25: the very festive Memorial ACTe, the very educational Marina and the gourmet, Basse-Terre. 2018, the Guadeloupe Region and its partners will meet you in the islands of Guadeloupe! " "Forty years of Route du Rhum is 40 years of adventure, technology, solidarity and the support of the general public. The Brittany Region is a partner because it is its role to be alongside those who promote this beautiful image of a conquering Brittany, to the rest of the world." 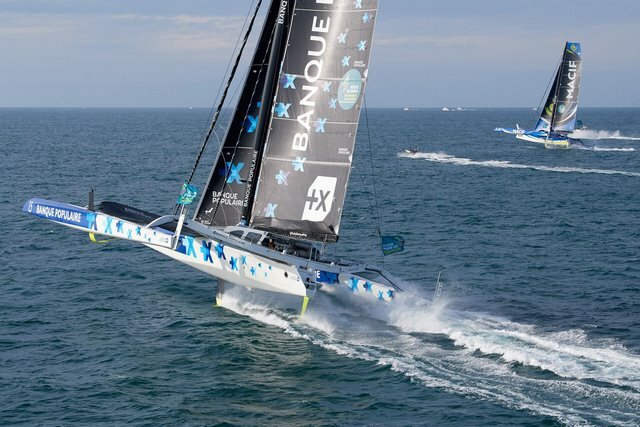 "For the Banque Populaire Grand Ouest, being the Main Partner of the Route du Rhum-Destination Guadeloupe, is to be fully part of the continuity of its commitments in the sailing universe. For 29 years, daring, performance and team spirit have been the values ​​we support with envy and pleasure. We are on the side of those who dare, those who change the game. For this legendary race, there is only one word: success is in you!" Mathieu Sarrot, Events Director OC Sport Pen Duick: “This 40th anniversary edition promises to be exceptional. What better gift to celebrate this birthday than a set of the best sailors taking part, the most successful boats in all categories and many stories that will enrich the Legend of the Rhum? 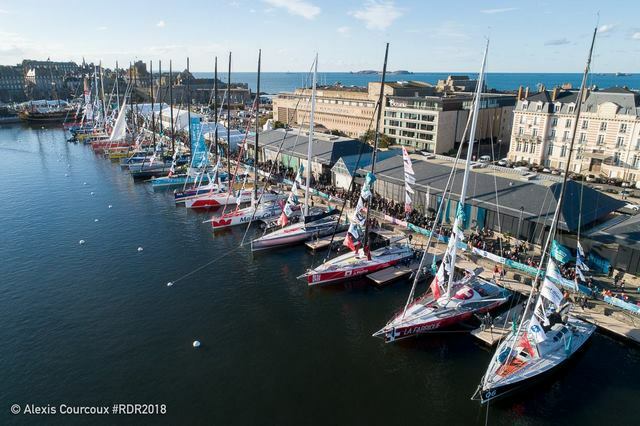 In St Malo, an increasingly ambitious race village of more than 50,000 m2, 124 sailors and exhibitors will welcome the two million visitors expected. An event on this scale had to promote a cause and a responsible movement and we are thus proud to be associated with the Call for the Common World Ocean of Humanity. Finally, Guadeloupe, title sponsor of the race until 2026, is preparing to welcome all the sailors in an iconic setting, the ACTe Memorial. See you in St Malo from October 24 “. 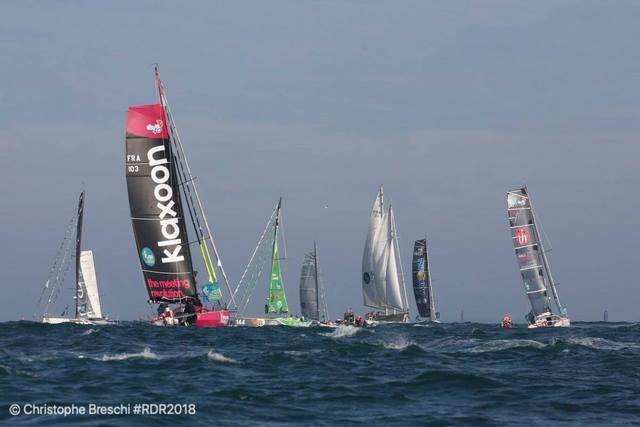 The largest fleet in the Route du Rhum-Destination Guadeloupe 2018 – the solo transatlantic race that starts from St Malo on November 4th – is the Class40 monohull division with 53 sailors taking part. This record entry, that makes up almost half the total 123-strong fleet in this four-yearly classic, includes men and women from 10 nations sailing a variety of boats designed within the parameters of what has become an extremely successful class rule. The Class40 record for the 3,542-nautical mile course to Guadeloupe in the French Caribbean was set by the Spanish yachtsman Alex Pella with a time of 16 days, 17 hours and 47 minutes in 2014. 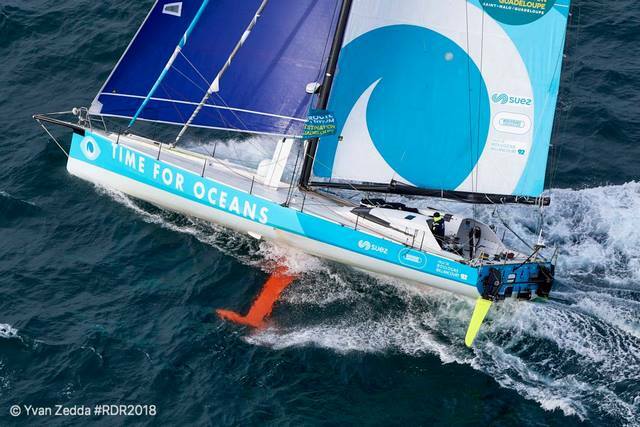 The best in the class this time will be looking to challenge that, though only the very latest designs sailed by experienced solo ocean racers are likely to do so. 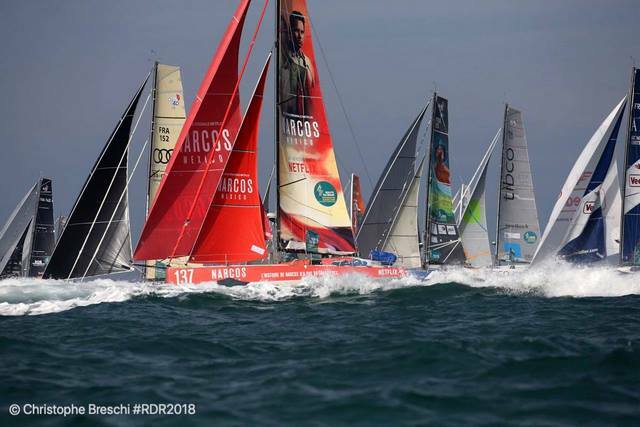 With the exception of the Mini-Transat – a solo transatlantic race sailed in smaller boats - no single ocean race has seen so many entries in one class as this Class 40 fleet for this, the eleventh staging and 40th anniversary edition of the Route du Rhum-Destination Guadeloupe. 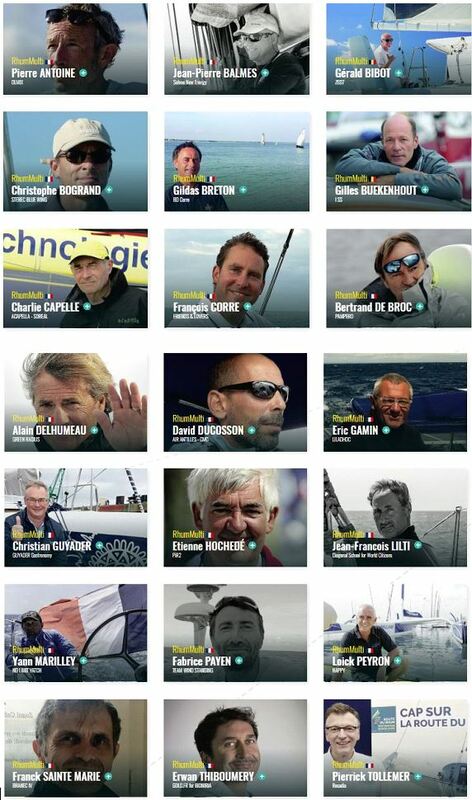 The 53 contenders who will take the same startline on November 4th, include no less than three former winners of La Solitaire du Figaro (Kito de Pavant, Nicolas Troussel, Yoann Richomme), not to mention sailors who have already participated in the Route du Rhum-Destination Guadeloupe (Sam Goodchild, Nicolas Jossier, Claire Pruvot, Halvard Mabire) or those who have raced in the Transat Jacques Vabre or The Transat (Maxime Sorel, Antoine Carpentier, Louis Duc, Arthur Le Vaillant, Aymeric Chapellier, Bertrand Delesne, Loic Fequet, Arthur Hubert, Hiroshi Kitada, Robin Swamp, Miranda Merron, Olivier Roussey, Phil Sharp). 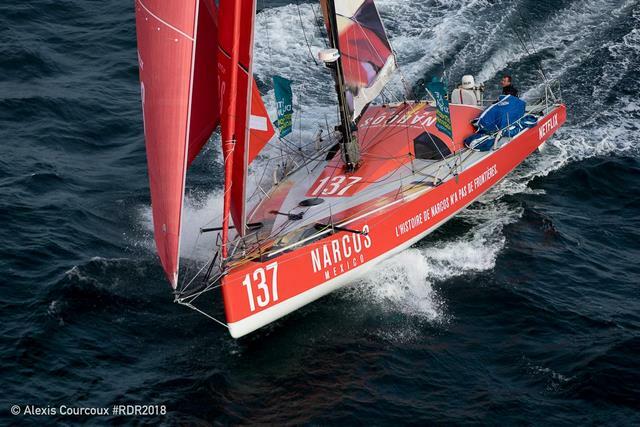 Class40s have been taking part in the four-yearly Route du Rhum-Destination Guadeloupe since 2006 when Britain’s Phil Sharp won the division in a time of 18 days, 10 hours. But since then advances in design have seen this course record come down by a day in each subsequent race. In 2010 Frenchman Thomas Ruyant reached Point-a-Pitre in Guadeloupe after 17days and 23 hours, while Alex Pella took another day off that in 2014. 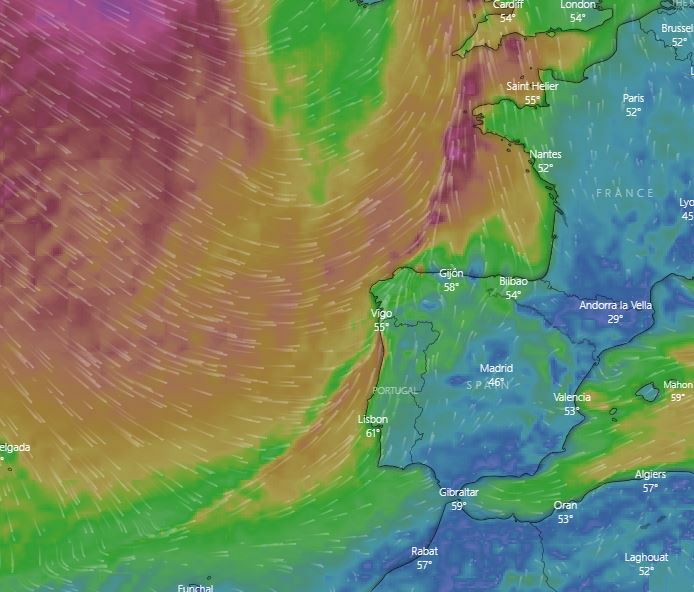 Of course, the weather conditions in the English Channel, the Bay of Biscay and the north Atlantic in the days immediately after the start will have a significant impact on race time. But it is clear from recent races that the newest boats in the class are capable of going quicker still with daily distances of over 350 nautical miles now possible – quite something for 40-foot monohulls. This reflects the increasingly radical design profiles of the newest boats which, despite conforming to class rules limiting sail area, displacement and draft (three metres), are looking more and more like the fastest IMOCA class boats – the 60-footers that race in the Vendée Globe solo round-the-world race. Within this category at the head of the fleet are 15 skipper-boat combinations that are performing closer and closer to the 60s, even without the use foils or canting keels which are not permitted in the class rule. At the head of this group is the British sailor, Phil Sharp (Imerys Clean Energy) who not only won in 2006, but with his two-year-old Manuard-designed boat has been regularly on the podium and winning races including the Round Britain Race and the Normandy Channel Race. Alongside him are two French sailors in brand new – and formidable-looking - Lombard designs: Louis Duc (Carac) and Yoann Richomme (Veedol). They are both highly experienced and their big and powerful hulls make them among the favourites to reach Guadeloupe first. Then there is a group also sailing Samuel Manuard designs who will be contenders that include Nicolas Troussel (Corum), Maxime Sorel (V & B), Arthur Le Vaillant (Leyton France), Luke Berry (Lamotte-Module Creation) and Aymeric Chapellier (Aina-Childhood and Future). Other boats to watch out for will be those from the board of Guillaume Verdier ​​sailed by the likes of Kito de Pavant (Made in Midi) or Antoine Carpentier (Custo Pol). In short, this is going to be an extremely competitive division in which sailors in closely-matched boats will fight it out, hour-by-hour across the Atlantic. The class includes three female sailors in the French women Morgane Ursault-Poupon (Fleury Michon Bio), Claire Pruvot, in an as yet unnamed boat, and the British veteran Miranda Merron (Campaign France). There are also three contenders from the Caribbean - Dominique Rivard (#Marie Galante), Carl Chipotel (Pep 'Gwadeloup!) And Rodolphe Sepho (Dream wide). Here are the thoughts of Emmanuel Le Roch who will sail Edenred: "Since I was a child, I wanted to participate in the Route du Rhum-Destination Guadeloupe. I nearly did it in 2006 in a multihull but then, a year ago, I had the opportunity to buy a Class40, a division where there is good competition for a reasonable budget. I got hold of a boat in good condition based in La Trinité where I work in a boat rental company. This is a 2010-vintage Pogo S2 that took part in the Rhum with Damien Grimont in 2014. Of course, I have no chances to actually win but I want to get to the other side with a decent performance. I have already done more than 5,000 miles at sea on Edenred and I have done quite a lot of solo sailing ... "
Despite these hundreds of thousands of miles in the wake of his exceptional career, drawn on all the oceans of the world, and after already 6 participations in the Route du Rhum - Destination Guadeloupe, it is a Francis Joyon full of humility and modesty who moored yesterday to the pontoons of the great multihulls of the Ultimate Class in Saint-Malo. Modesty in front of this incredible plateau of 123 skippers and face to the thousands of lovers of the sea and the race offshore attracted by this great transatlantic dream, and humility before the work to realize, a crossing of the ocean, alone with the soundbar maxi trimaran IIDEC SPORT. Always as perfectionist and refractory to any delegation of work, except perhaps to his small group of preparers, Francis can not help but meddle personally with these thousand and one technical or logistical details that will take, past the gun of the November 4, a vital importance, for himself and for the performance. The pre-departure stand-by promises to be busy and rich in new encounters.
" No ! I am not jaded! 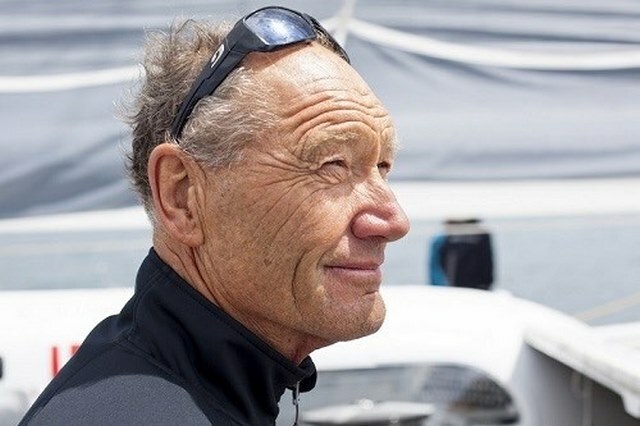 The man of the greatest records, who no longer counts his crossings of the Atlantic in and out of the race, arrives in Saint-Malo inhabited by the same passion, the same desire, the same doubts that 28 years ago when, on board his unlikely catamaran jigsaw puzzle of odds and ends, he lined up for his first rum experience. " I think I take this job too seriously! He amuses himself; " I can not help struggling to put my nose in the slightest details. To each of my "rums", I try to do better, to push my preparation a little further than the previous one. " " My passion is intact. That's why I keep aligning myself with these races. The Route du Rhum - Destination Guadeloupe is full of mystery, unknowns. This generates an impatience that I do not control, which is the expression of my passion for this activity. No one knows what really awaits us when we are alone aboard our machines, watching the earth move away. It's an impatience, a thrill that we do not get tired of. " Francis Joyon remains faithful to himself, unable to calculate, but always curious about others. " I always enjoy meeting new people and interacting with enthusiasts. I will try to preserve myself a little this week, to return every day a little more in the skin of a loner, but the atmosphere of Saint-Malo I like, because it has many beautiful encounters in power. " Of the six Utims engaged, three are "flying". With the Gitana Team, Sébastien Josse was one of the first to fly offshore. Before this one-week sprint alone, the skipper of "Edmond de Rothschild" admits that the three pilots "miss flight hours. We are pioneers ". Since the foil worries in the Transat Jacques Vabre, what have you changed on the boat? Both foils were broken. It was purely mechanical, it was hard to keep them in place. The foil in the wind had such impacts in the water that it generated 2 millimeters of play. Whenever it hit the water, it's like putting a hammer on it. And it's delaminated like that. Put a boat like this one in the water and go on a crew reduced two months later, it's hot. Plaster was wiped in terms of focus, knowledge of the boat. We were in the red. The timing of the races pushes us to accelerate our preparations but it is rare that with such prototypes, we go racing a few months after the launch. And today, where are you? 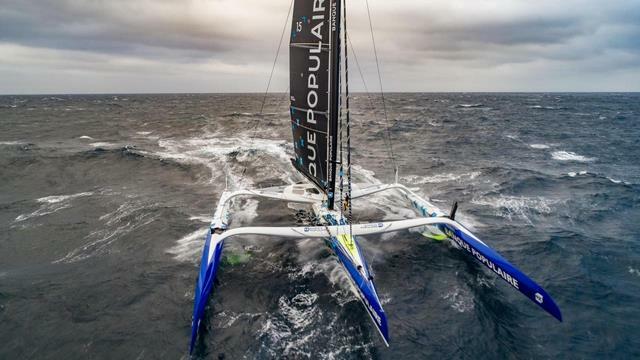 The capsizing of "Banque Populaire IX", another flying multihull, what inspires you? It's multihull, so we know it can capsize. When you do multi, it's omnipresent. We know that it can happen. We, at the start of the Transat Jacques Vabre, we almost went there twice with Thomas Rouxel. So yes, we have this in mind all the time. Even if it is bigger, it has more inertia, that there is on our current trimarans more security than on the MOD70 or, worse the 60 feet Orma. Flying or not flying, this is not the subject. You can get upside down without flying. You say that today's flying trimarans are less snappy than the MOD70s? In terms of driving and driving yes, that's for sure. And MOD70 are not comparable to Orma. In 60 feet Orma, I think they all had the ball in the belly as soon as they had to do solitaire. There are three flying trimarans at the start. Do you think the three skippers have enough flying hours to go solo? Clearly no. Me, I have five days alone with no one on board. Either my qualification plus another navigation equivalent to my qualification. Real solo, where when you sleep, you know you have no one on the bridge. Where, psychologically, you're stressed. There, you can not count on you, on your ability to react. When we sleep, we do not sleep soundly because we know that there is nobody on the bridge. You are on a wire and you have to play on this thread. To go to sleep, you must calm the game to not fly? Flight must not be equated with instability. When we fly, we fly flat. First, we fly by not being cradled. Speed ​​can be stressful, but you have to get used to it. When you fly at 42 knots, you're not two fingers to capsize. The boat will land or go into archimedean mode, it will go down to 35 knots and that is where there may be a risk. He may have a moment of rest and, there, we will have to react. This is the phase where the boat will resume grip, that's where it can be complicated. Every time we go out to sea alone, we know that we take the risk of getting upside down. Instead of flying very high, we can see that the boats are flying at low level. It is voluntary ? We call it "skimming", we touch the water. Thus, we have more stability, less untimely dropouts. Basically, we break the figure of less high. We do not have the right to enslavement, so we try to fly like that. The day we will be able to adjust our four appendages in one second, we can fly higher. Flying on a Route du Rhum that lasts seven days is one thing but do you think it is reasonable to do it around the world and in race moreover? It's a good question. There is the time of the development, the time of the grip, these are incompressible durations. It takes experience and nobody has experience on these boats. Whoever spends the most time on the water is the one who will be most confident. If there are two Ultimate who are upside down on the Route du Rhum, it is certain that we will have to rest the question of the world tour. In Saint-Malo, on November 4th, Sébastien Josse will be in the shoes of a favorite, an outsider? I do not watch the set. I am told about the Champions League in the Ultimate but it is the Virtual Champions League because the boats have never sailed together. The skippers do not all have the same experience, not all the same level, not the same experience. 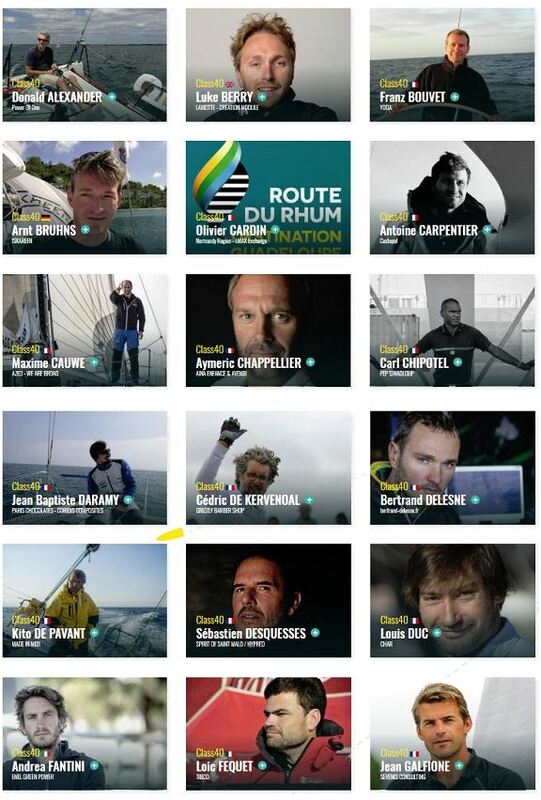 The question "who is the favorite of the Route du Rhum" bother me a little because we are not there. We are trying to accumulate hours of solo sailing on a flying boat. We are pioneers, it will be a first. Nobody has this to his credit. And the guy who will manage his boat well, manage the flight, maybe even without flying, will win the Route du Rhum. We all have the potential to win even the old boats. There are three fabulous boats that can write history. Or not. So let's take it all with tweezers. Yes but it is not at all representative of what we will live alone. We will not all be equal to manage our stress at 45 knots alone, we will not be in the same state of fatigue. When you are on an internship in Port-la-Forêt, there are five people on board, everyone settles it to the little onions, we are all fresh and ready, we do ten maneuvers in 24 hours ... The Route du Rhum, it's not that. There is the night before, the exit of the Channel at night with 25 knots of southwest, the intense maritime traffic, etc. But hey, the stage showed that we had worked well, the boat was reliable, we start going fast, we still have under the hood. Do you have pressure from your sponsor? Not at all. There is no pressure because we are going into the unknown. We're going into something we do not know. Before looking at the set, to know how my opponents are going, I first want to know if I know how to control this kind of boat and if I have enough hours of flight. And the answer today is that no one has enough hours of solo flying. Only after the Route du Rhum will we begin to build this experience of offshore flight alone. That's just the base. Yes, the Route du Rhum is a fabulous race, it's the 40 years of the transatlantic race, we all want to hang on to our track record but we have another challenge because we are at the limit of what the we can do alone. At the time, when we saw Alain Colas leave on machines disproportionate, we wondered if they would arrive on the other side. Do you already feel the pressure? Yes, everything will be stressful: the start of the pontoon, go to the starting area, wait for the start, start with all the competitors. From November 4th until the arrival, there will be stress. I think I have enough experience, common sense or coolness to handle all this. Before thinking of going fast, you must not take a boat before Ouessant. Until Ouessant, it's hot. We can capsize at Cape Fréhel. Remember, in 60 feet Orma, Franck Cammas had capsized the Seven Islands. You can go to 40 knots but if you take a tire or a cargo ship, well ... So priority to the day before, it will be necessary to be vigilant. There is no question of betting on the entry performance. We tend to trivialize what we do, we are told about a record, crossing the Atlantic in five days with our flying boats. Okay, very good but that's theory. Practice is something else and we do not have it. To get to the other side is the assurance of a good place? Of course, but I'm not going to go "two ris-stays", that's not the way I want to sail. The boat has to go to 40 knots and I will go to 40 knots. After, there are different ways to go to 40 knots: with confidence, I have some. Up to a certain wind and sea state, I know that I can spread safely. And there is going to 40 knots in over-revving and there is the danger. Because, if there is a grain of sand at that time, it can be the accident or the exit of road which will cost you 100 miles. And there, the guy who is not over-revving, he doubles you. Last edited by Photoboy; 10-26-2018 at 09:44 AM. FRANCIS JOYON: "I FEEL SURPRISINGLY SERENE"
After a brief stay at his home in Locmariaquer, with his family, Francis Joyon found his boat, wisely docked in front of the ferry terminal of Saint-Malo. He thus really enters the countdown that grazes the hours to the starting gun on Sunday at 14 hours. With its 6 editions disputed since 1990, it is with a certain phlegm that the skipper of maxi-trimaran IDEC SPORT contemplate the frenzy that has seized the basins of Saint Malo. Always surrounded by his faithful Corentin (his son), Pic (Sébastien Picot), Antoine Blouet, and David Leven, it is in full zenitude that he awaits the arrival of his "historic" teammates, Bernard Stamm and Gwénolé Gahinet and Quentin Ponroy, who will come Saturday to support him during the crucial last hours to the starting line.
" I feel surprisingly serene. I have every confidence in my boat and its assets. This Route du Rhum - Destination Guadeloupe will be the first confrontation between the new generation of so-called "flying" boats, and the oldest one to which belongs IDEC SPORT. It's a bit of the quarrel of the Moderns and the Ancients, Horatii and Curiaces. I remain convinced that the human factor is preponderant on this transatlantic. That's why I worked a lot this summer on the repetition of heavy maneuvers. The maneuvering times are much longer than on my old boat. This must be taken into account in road choices. All these maneuvers are time consuming. We are more than double the recovery torque, so the boat's efforts are doubled compared to the former IDEC. " 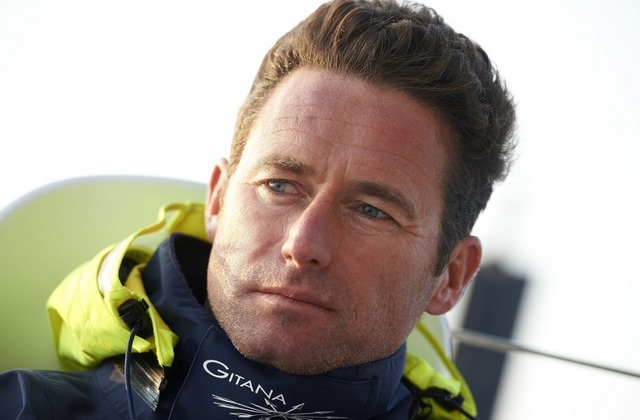 " I followed the races of Groupama 3 and Banque Populaire VII in 2010 and 2014. They had followed more direct routes with as few maneuvers as possible. This will not necessarily be my case, because if the road is short, it is worthwhile to multiply the maneuvers. " Phlegmatic, Francis slowly begins to look at the weather files of the departure. 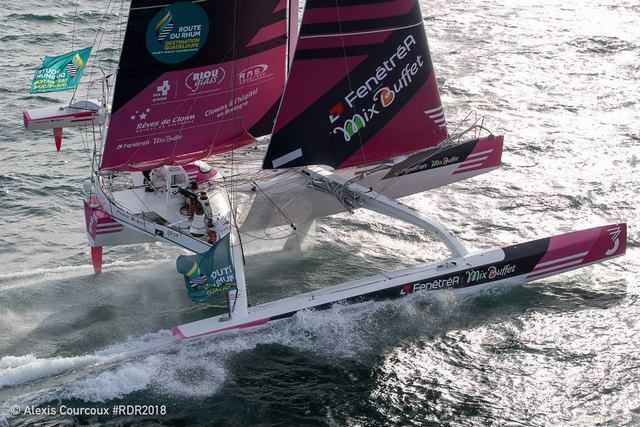 Christian Dumard and Gwénolé Gahinet will constitute his ground support cell, authorized for the organizer on this Route du Rhum - Destination Guadeloupe. "They are two great professionals who are very complementary. They know each other very well, and Gweno is familiar with the boat. " The co-holder of the Jules Verne Trophy aboard IDEC SPORT Bernard Stamm and Quentin Ponroy will be on board on Sunday to support Francis Joyon in the last minute maneuvers. With Gweno and Bernard Stamm, "I almost reunited the crew of the Jules Verne Trophy" plays Francis. 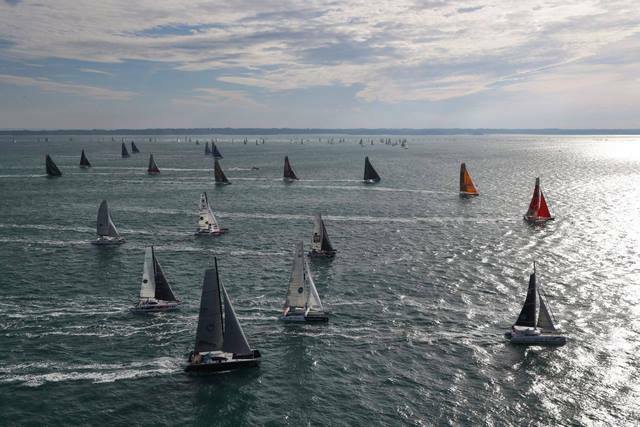 On Sunday 4th November in Saint-Malo, 20 monohulls from the Imoca Class will be lining up at the start of the Route du Rhum-Destination Guadeloupe, the first solo event in the IMOCA Globe Series, the class's new world championship. A record number of entrants and an exceptional and varied line-up confirm that the class is thriving and continually developing. More good news: at least seven new boats will be lining up in the next Vendée Globe with the latest announcement coming from the Japanese sailor, Kojiro Shiraishi. 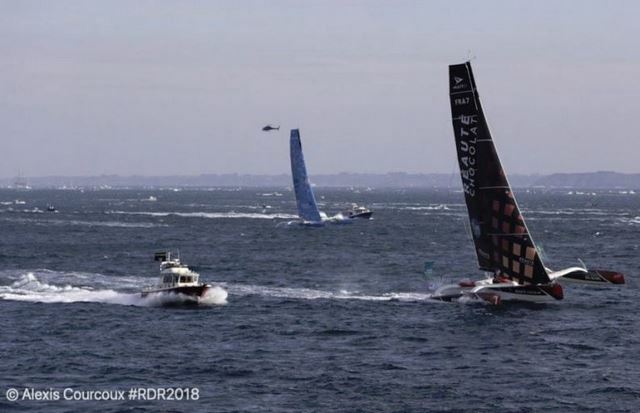 The Route du Rhum-Destination Guadeloupe is going to be very competitive and interesting to follow, as it is the first solo event in the IMOCA Globe Series. The IMOCA class world championship includes eight events with various weightings over the period 2018-2021. The winning skipper of the IMOCA Globe Series will be crowned world champion in 2021. 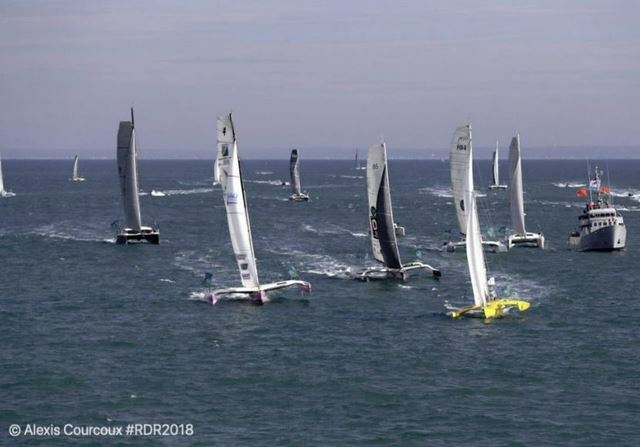 Before the Route du Rhum, one double-handed race has taken place: the Monaco Globe Series, which was won by Paul Meilhat and Gwénolé Gahinet. 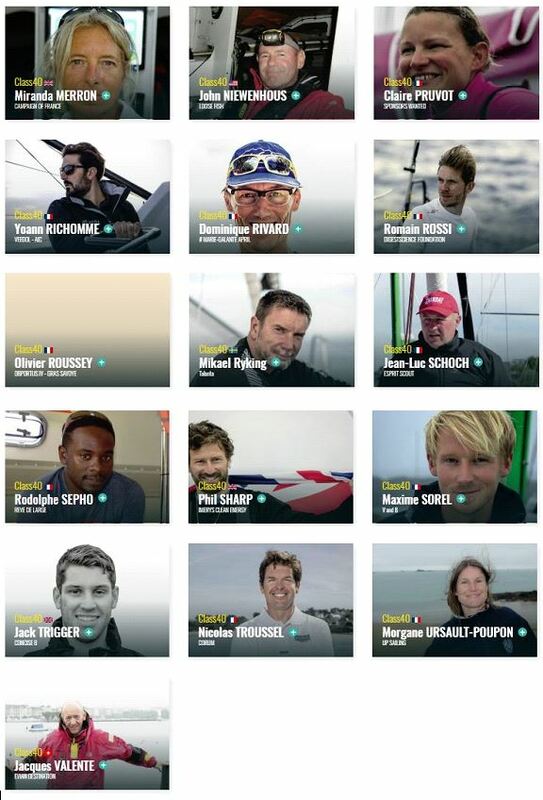 This IMOCA Globe Series world championship aims to satisfy the enthusiasm of the sailors on their way to the 2020 Vendée Globe. It was necessary to offer a strong race programme to the class and maintain the interest between two editions of the solo round the world race, which marks the pinnacle of the IMOCA calendar.The events in the IMOCA Globe Series are also identified in the Notice of Race for the Vendée Globe as qualifiers and will be used to select competitors for the 2020 race. 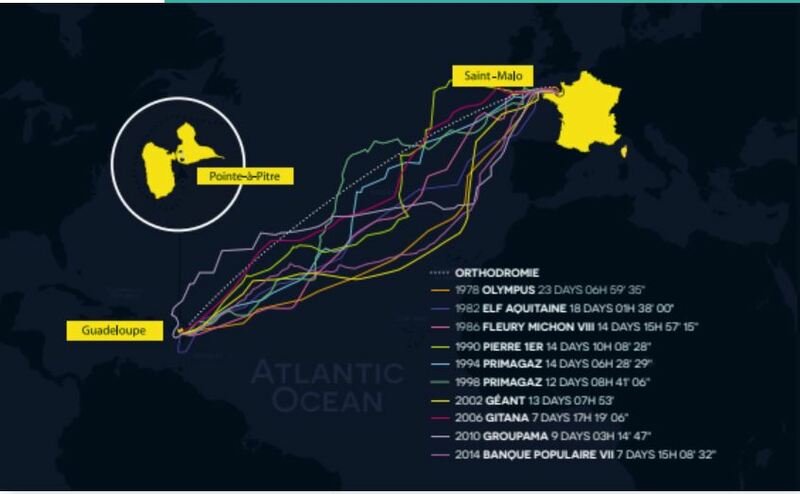 What this really means is that those sailors who qualify and cover the greatest distance in races on the official calendar will obtain their ticket for the Vendée Globe. 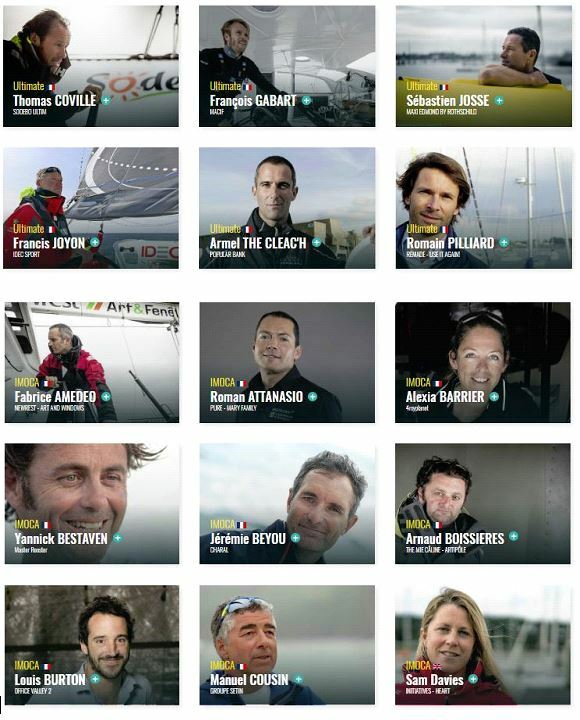 This is the seventh time that theIMOCA fleet has taken part in the Route du Rhum. With twenty sailors competing in the 11th edition, there have never been so many of these monohulls since they first took part back in 1994. As a comparison, there were nine IMOCAs in the previous edition in 2014.The line-up is extremely varied with in particular three women setting off and five European nationalities represented (France, Britain, Germany, Switzerland and Finland). 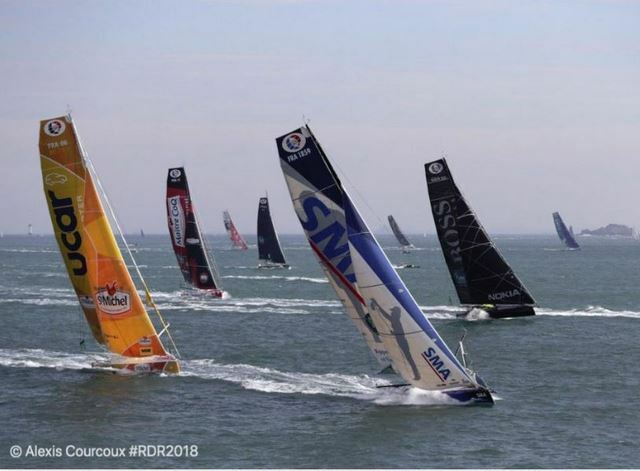 Among the twenty skippers competing in the 2018 Route du Rhum, ten were at the start of the 2016-2017 Vendée Globe. 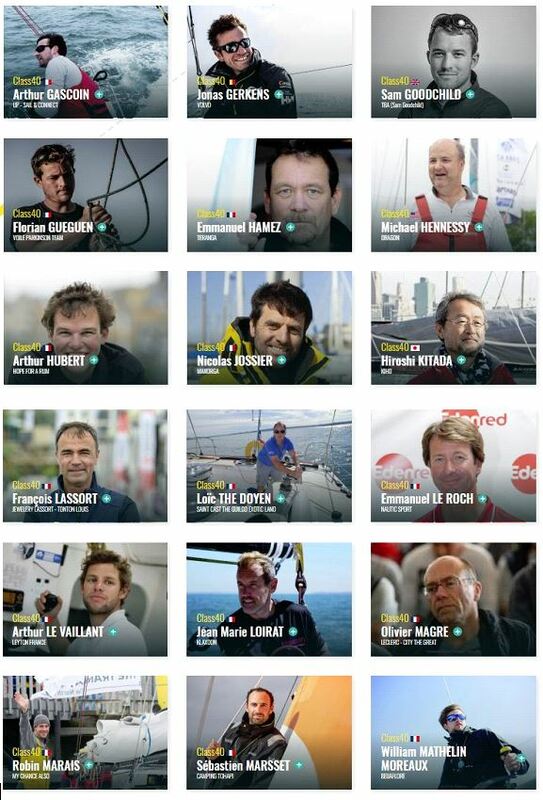 The ten others are new projects, which proves how there is a strong replenishment rate in the IMOCA class. 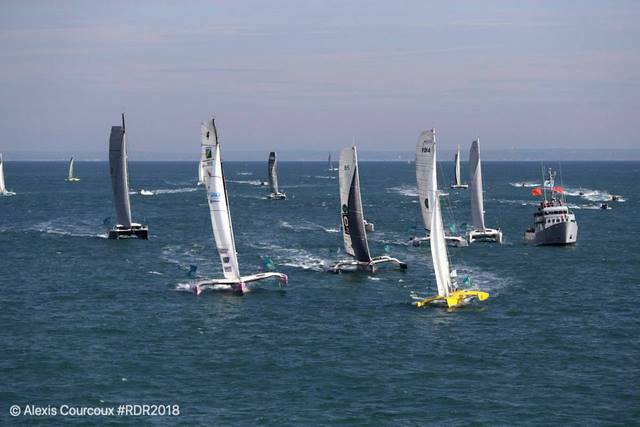 Another fact that stands out with this edition of the Route du Rhum is the presence of ten IMOCAs fitted with foils, which represents exactly half of the fleet. Only one IMOCA boat from the latest generation is registered for the Route du Rhum, Jérémie Beyou's Charal, which was launched on 21st August. But for the 2020 Vendée Globe, at least six other new monohulls will be lining up. 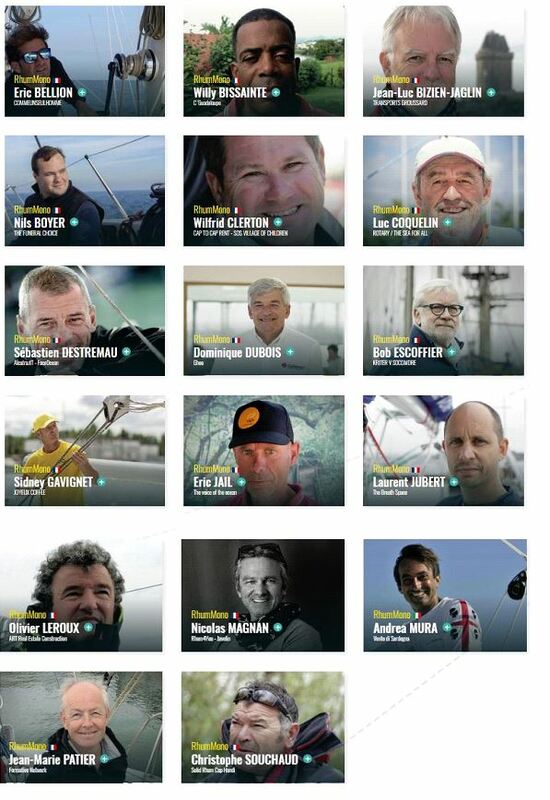 Four skippers have already made their project official: Charlie Dalin, Sébastien Simon, Alex Thomson and Armel Tripon. The Japanese skipper, Kojiro Shiraishi will also be present in 2020 with a new generation IMOCA. He will be setting sail around the world aboard a sistership to Jérémie Beyou's Charal. Last edited by Photoboy; 11-01-2018 at 09:25 AM. Technological dimension, physical commitment, rhythm of life on board: three days before the start of the 11th edition of the Route du Rhum, November 4 in Saint-Malo, here is all you need to know to better understand the race off- standard that awaits Armel Le Cléac'h aboard the Maxi Banque Populaire IX. Number of miles flown since it was launched on October 31, 2017: 18,000 (equivalent to 4 transatlantic). 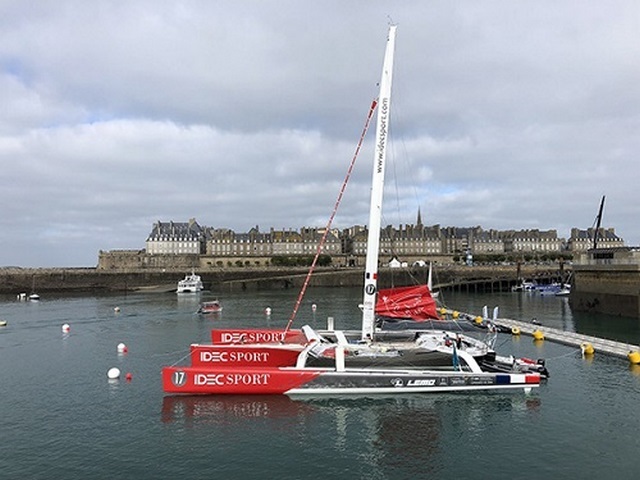 All is set in the Brittany port of Saint Malo for the start tomorrow of the 11th edition of the Route-du Rhum-Destination Guadeloupe solo transatlantic race which features a record entry of 123-skippers who will tackle very rough conditions in the early stages. The 3,542-nautical mile race to Pointe-à-Pitre in Guadeloupe, which takes place every four years, is one of the top races in the professional solo ocean racing calendar and this 40th anniversary edition includes skippers in six classes from 11 countries with a total of 23 non-French sailors taking part. 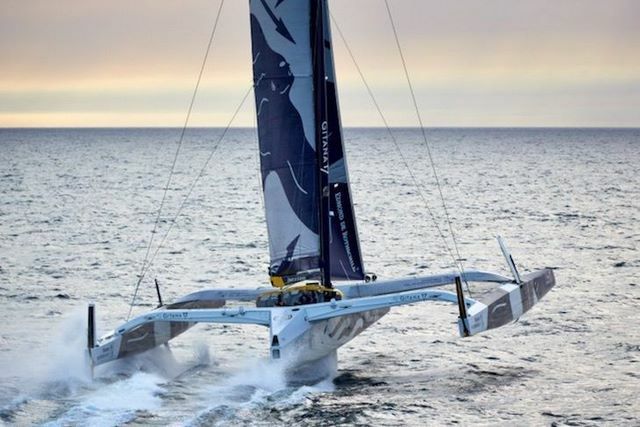 The fleet is led by the six-strong ULTIME class of giant foiling trimarans which will be looking to break the outright seven-day race record. It also includes a 20-strong division of IMOCA monohulls and an unprecedented participation by Class40 monohulls, with 53 entered. 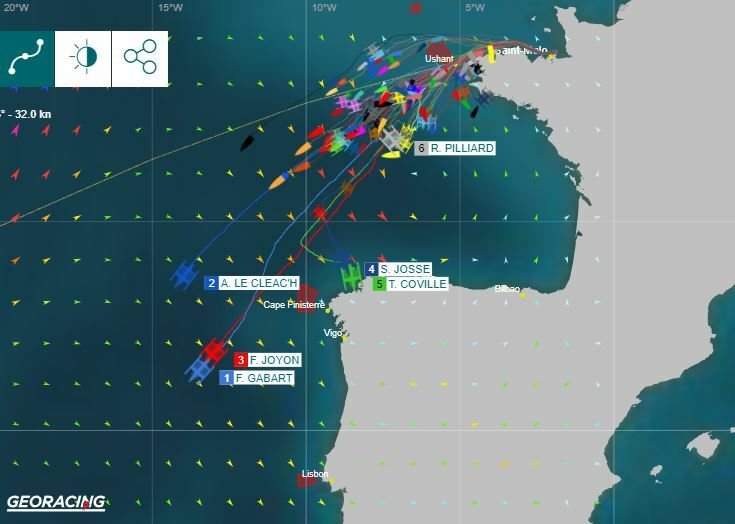 The Route du Rhum-Destination Guadeloupe almost always features rough weather in the early stages as the skippers head out into the English Channel then cross the Bay of Biscay, as they look to sail south to hook into the Trade Winds that will take them to the Caribbean. This race looks to be no exception with weather predictions for excellent conditions at the start tomorrow – with 15-20 knots of breeze – but then the fleet will hit a big depression which blocks the way westwards on Tuesday. 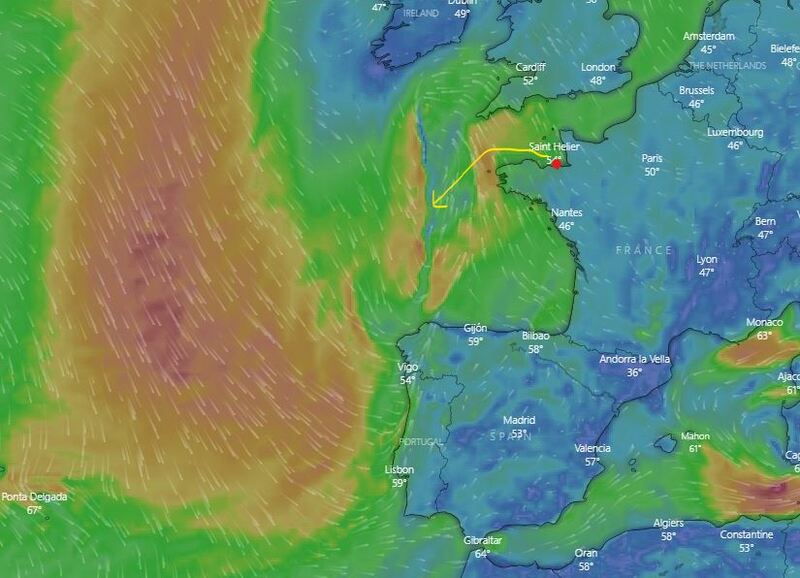 At that point the sailors will be dealing with winds of 35-40 knots but with dangerous gusts hitting up to 55 knots. It is thought that some sailors will choose to take refuge in other French ports like La Rochelle or Roscoff – the rules allow them to do this without penalty – and then set off again once the worst of the weather has passed. “For the start of the race we have good conditions with south, southeast winds of 15-20 knots,” said Race Director Jacques Caraës. “The difficulty afterwards is the big depression coming on Tuesday. It’s a huge system so we will do the start anyway but after that it will be very hard for boats from midday on Tuesday. “This is normal for November,” he added, “very frequently at this time of year you have a front coming in. Of course the faster boats can try to avoid the system, but the smaller ones maybe have to have a different strategy. It is not a bad thing to seek shelter in another harbour if they need it and we will help them with that. French star Jérémie Beyou is one of the leading contenders in the IMOCA fleet in his brand new 60-footer, Charal. After just two months of sea trials this will be the first time this foiling monohull will have faced big winds and big seas. British Class40 sailor Sam Goodchild from Falmouth, at the helm of the Netflix-sponsored Narcos Mexico, is looking forward to getting going after the busy build-up in Saint Malo that has seen over a million people tour the pontoons over the last 10 days. The starting gun will be fired at 14.00hrs local time tomorrow (Sunday) when all 123 yachts will cross one of the longest segmented startlines ever set up in the history of sailing, at three nautical miles. A huge spectator fleet of craft, ranging from large passenger vessels to small motorboats and yachts, is expected to gather to watch the sailors as they head off into the Atlantic. Caraës added that he is delighted by the support being shown for this race by the sailing public in France and around the world. “For us it is important to see all this enthusiasm around the race and the huge numbers of people everywhere. It is an incredible race, one of the most famous races, and the different classes have attracted thousands of people to the various marinas in the build-up – it has been a beautiful spectacle. 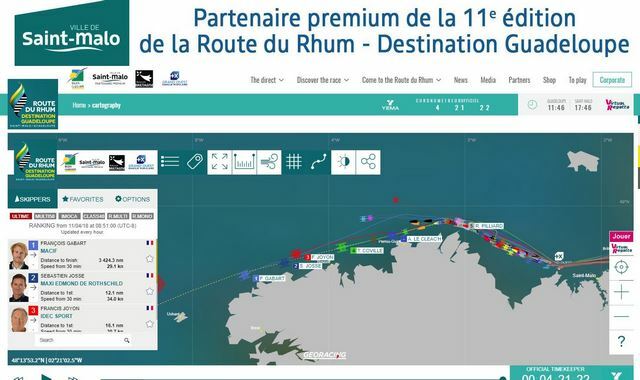 The Route du Rhum-Destination Guadeloupe is owned and organised by OC Sport Pen Duick, a subsidiary of the French media conglomerate the Télégramme Group. Let's go ! 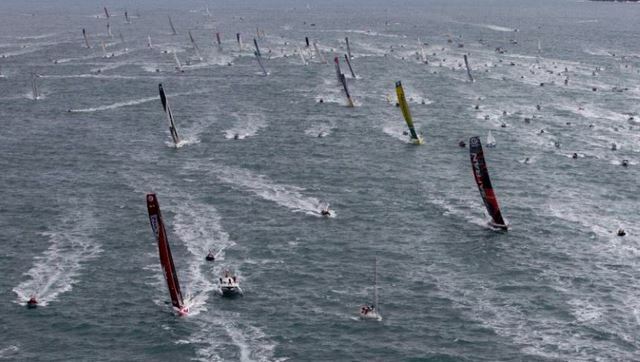 The 122 competitors * of the 11th Route du Rhum-Destination Guadeloupe stormed the ocean. Crosswind, in about fifteen knots of south-east and a beautiful sea, they started at 2:00 pm under the sun, offering a breathtaking spectacle. Just 34 minutes after kickoff, the Maxi Edmond de Rothschild was leading the cape of Fréhel, dropping more than 30 knots on his foils. There remains a little less than 3542 miles to run with a first difficulty tonight: the passage of a depression off Ouessant. In these conditions of navigation - flat sea, 15 to 20 knots of crosswind - the Multi50 also made the show, recalling that they were formidable gear. First to draw on the line, the skipper of Réauté Chocolat leads the way in front of his five competitors. A little tense this morning before leaving Saint-Malo, Armel Tripon entered right away in the match. But his rivals are not very far to start with Thibault Vauchel Camus (Solidaires in Peloton - Arsep), Erwan Le Roux (WindowsA-Mix Buffet) and Lalou Roucayrol (Arkema). IMOCA: The time of the foilers. It's an impressive line-up of Class40 that started at 14 o'clock on the starting line. Under the wind of the fleet, Antoine Carpentier (Beyond the seas) was immediately the fastest, seizing a leadership he kept until Fréhel. In his wind, the innumerable favorites of the class were exploding. Nicolas Troussel (Corum) sent his gennaker early to glide at a good pace, despite a chop more and more chopped, wind Kito De Pavant (Made in France). In their South, and within a few hundred yards, the pack of postulants clung to the rhythm of the leaders. Rum Multi: A Guadeloupean Fréhel! David Ducosson, at the helm of his 50-foot trimaran Air Antilles - Caseneuve - Maxi Catamaran, makes a no-fault between Pointe du Grouin and Cap Fréhel. Author of a formidable start, in the back of a certain Loïck Peyron (Happy) who, defending title, crossed first the starting line almost in the shot, the Guadeloupe quickly gave the power the wanted sailboat, designed and built by Anne Caseneuve. He seized his head resolutely that he never left, allowing himself more than 15 knots average, to talk to the best Imoca at the passage under the famous cape. Equally impressive, Fabrice Payen (Team wind standing) also armed with a trimaran 50 feet, the heeled at Fréhel, and the favor of always sending delicate gennaker in the breeze, was in first place in the class. Jean François Liliti, the pharmacist of Trévières in Calvados, on his powerful catamaran built in his Norman garden, is a surprising third. The hierarchy is respected and Sidney Gavignet (Coffee Merry) prancing happily in the lead. After a daring line crossing at the bottom of the committee boat, at the extreme south of the line, he kept on widening the gap and held the dredge high to Sébastien Destremeau on his 60-foot ex Imoca (Alcatraz IT Faceocéan). Another favorite of the class, the Italian Andrea Mura (Vento di Sardegna) is at the rendezvous, just a few cables from the duo of leaders. We note the excellent behavior throughout the 17 miles of this segment "show" of the race, Jean Marie Patier on his red cigar (Formative Network), very comfortable in the hood raised by the passage while power previous competitors. At what time in Ouessant? - Mono Rum: 5 hours in the morning. 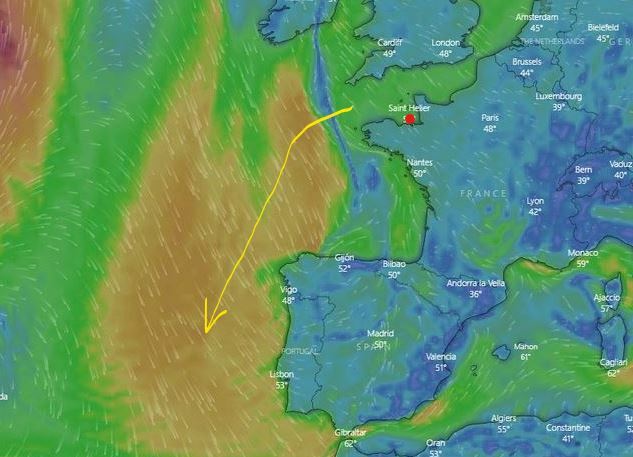 The minimum low that awaits the boats in Ouessant is prolonged by a Thalweg which should slow the progression before catching the winds of North West to darken in the Bay of Biscay.